Since Arrogate’s failure to return to the same dominating form we experienced earlier this year, one horse has risen to the top in order to fill that void. Gun Runner not only ran his way to the honor, but the polls now show him there too. It all started back in Dubai, when Arrogate swept by him to win. Gun Runner ran his heart out and finished a hard fought second. While we can debate what would have happened if Arrogate had a better start or if he hadn’t made the trip over at all, the point still stands that Gun Runner returned from this effort and has only been running better since; Arrogate (the top ranked horse in the world until August 19, 2017 when he finished second in the Pacific Classic) has struggled. Now, I’m not saying that this is the commonly labeled “Dubai Bounce”. I frankly don’t believe it’s a thing, and it only discourages people from racing outside of the states. Arrogate has either lost some interest in what he’s doing, or he’s simply digressing in his ability to produce the same kinds of moves he used to do. Either can happen to a horse, but Gun Runner continues to defy the “Dubai Bounce” theory: he’s not only the same horse that flew over, but he’s even better since he’s come back. We move forward to Stephen Foster night at Churchill Downs. His return to racing in the states was glorious and I was lucky enough to see him in person. He walked by looking like The Man and he sure raced like it! He went to the lead and didn’t look back; beating the field in a display that showed equal parts brilliance and resilience as it was later discovered that he lost one of his shoes during the race. The atmosphere was nothing like I had ever experienced before; the roar of the crowd as he coasted home. How he waltzed back not even looking like he ran in the first place. It was clear that he had quite the fan base at Churchill Downs and why wouldn’t he? He’s been the picture of consistency and now he’s the favorite for the Breeder’s Cup Classic at Del Mar in California this year. Now we arrive at Saratoga, and he was training even better than ever. All eyes were on him, though some pundits argued that he may not be getting the pace situation he wanted; a point only emphasized when War Story’s owner entered into the race a rabbit. A rabbit is usually a horse that goes to the front to set up a fast pace for a closer and then fold so the higher regarded horse will get the set up they want in order to run their best race. I say “usually” because some rabbits have forgotten that they weren’t intended to win, and went on to do just that anyway. However, rabbit or no rabbit, Gun Runner ran them out of their shoes…literally. That’s not something you see every day. But fifth shoe anomalies aside, Gun Runner rated and repelled his competition. It was another strong performance for the newly crowned “Best in America”. My personal bias aside, Gun Runner certainly deserves the honor. After not being let on grounds for the Pegasus Invitational, the hope this year is that he will make it for the race this time. Should he win the Breeder’s Cup Classic, I firmly believe that he will have earned Horse of the Year honors as well as Older Male honors; the Pegasus will be icing on the cake. While I was most impressed with Arrogate’s first half of the year, he’s been a disappointment the latter for all the hype that has surrounded him. 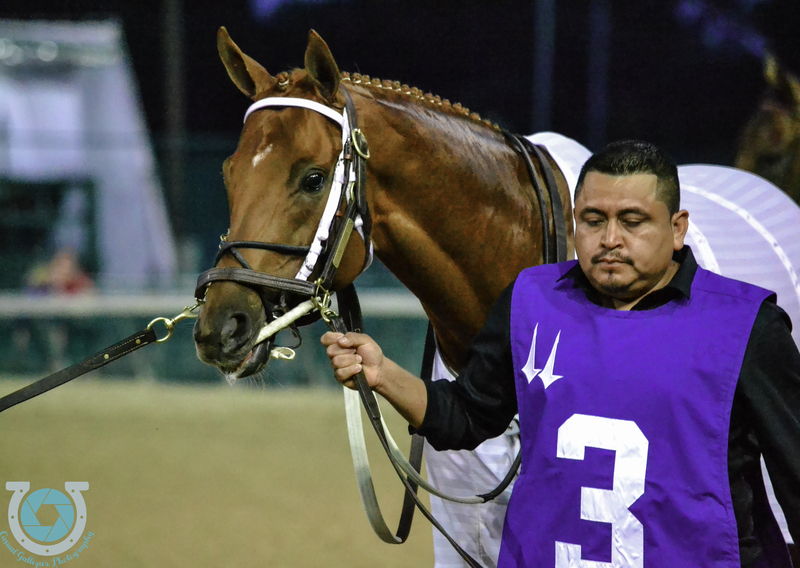 I hope he returns to form, but should he not, Horse of the Year for winning two overpriced races in the first three months of the year would be very unfair to the likes of Gun Runner, who also ran extremely well in Dubai and returned to America to run his heart out once more. While the race was impressive, it would be the equivalent of naming Always Dreaming the three-year-old Male of the Year simply because he won the Kentucky Derby (though with this 2017 division, that’s as good an excuse as any), despite him not being able to reproduce his winning ways since the race. Either way, the race to see is definitely going to be the Breeder’s Cup Classic in terms of how the year end honors will be decided. I have my choices basically wrapped up already and barring any unforeseen circumstances, I predict that I’ll be pretty close to the actual results. In the mean time, let’s continue to enjoy Gun Runner and his amazing efforts. He’s earned every fan, every win, and every accolade that goes his way.